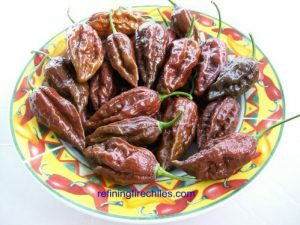 MA Wartyx-(Capsicum chinense)-MA stands for Matthew Arthur a renowned chile grower and plant specialist who has been gardening since age 6 and has created many pepper varieties for nurseries over the last 4 decades. He has not revealed what made this pepper in 2012-2013. It may be an accidental cross. But he has been slowly stabilizing it. 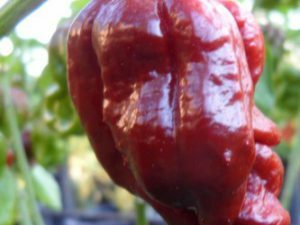 The MA Wartyx is a superhot pepper that is mushroom or bonnet shaped. 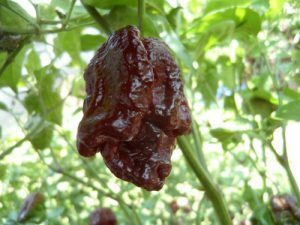 But it has a coarse outer texture like other superhot peppers. It ripens from green to orange red. The MA Wartyx has a sweet fruity flavor and is slightly floral. 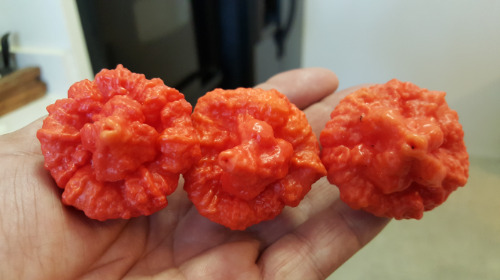 The heat level is close to 7 Pots and Scorpion peppers. 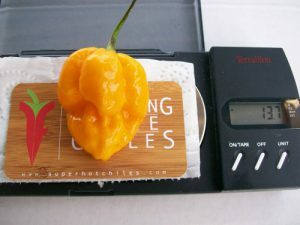 The MA Wartyx chile plants can grow over 4 feet tall.